It’s Super Bowl weekend and the best teams from the league’s two conferences, the AFC and NFC, will square off on Sunday at 3:30 PM on Fox in Minneapolis, Minnesota. The two competitors couldn’t be any more different in terms of how they’ve arrived at football’s biggest game, as well as what a title would mean to their respective franchises. The competitors from the NFC, the Philadelphia Eagles, haven’t won a Super Bowl in franchise history and they will be looking to do it with their backup quarterback, Nick Foles. If Philadelphia wins, they’ll join the New York Giants as one of only two teams that were able to take down their opponents, the AFC’s New England Patriots, in the Super Bowl. The Patriots are competing to win their second straight championship and their sixth Super Bowl ring since the 2001 season. They will have four-time Super Bowl MVP and 40 year-old Tom Brady at quarterback, and with a win, New England would continue to add to their legacy as the greatest dynasty in the history of the sport. 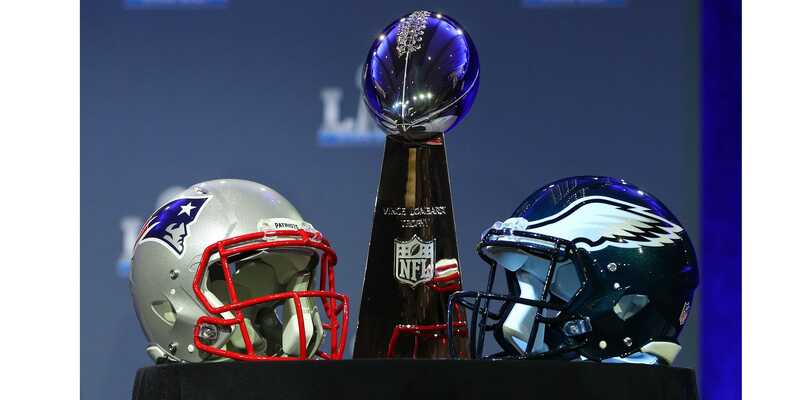 The Patriots and Eagles will face each other in a rematch of Super Bowl XXXIX in February 2005, when the Patriots won 24-21. That win marked the Patriots’ third Super Bowl victory in four years and their second straight championship. They didn’t win another one until the 2014 season. Now, they can once again beat the Eagles for their third Super Bowl in four years and their second straight championship. The game will be played at U.S. Bank Stadium in Minnesota. It’s the second Super Bowl in Minnesota and the first one since Super Bowl XXVI in January 1992. The temperature in Minneapolis is forecast to be around 6 degrees Sunday, but the game will be played indoors, making weather a non-factor. The Eagles have dealt with injuries all season long, but none was more significant than that of their starting quarterback and franchise player, Carson Wentz. Wentz was playing at an MVP level until he tore his ACL against the Los Angeles Rams in early December. His replacement, Nick Foles, helped the Eagles finish off the year with a 13-3 record and clinch home field advantage throughout the playoffs. Foles led the Eagles to a first-round win against the Atlanta Falcons. He followed that performance up with three touchdowns against one of the best defenses in the league against the Minnesota Vikings. The Patriots, statistically speaking, had the easiest route to a Super Bowl ever. Tom Brady had another stellar season which most likely will earn him his third award for Most Valuable Player. New England finished off the year at 13-3, earning home field advantage in the AFC. They started off the playoffs by destroying the Tennessee Titans 35-14. They went on to face a young and upcoming Jacksonville Jaguars team with a stingy defense. The Jaguars went into Foxborough Stadium and came out like most teams do, with a loss. The most controversial play came late in the game when the Jaguars forced a fumble and recovered the ball. After gaining possession, Jacksonville linebacker, Myles Jack seemed destined for a touchdown. However, the refs marked Jack down upon recovery, preventing Jacksonville from scoring a momentous touchdown. Tom Brady led a late game winning drive to take the Patriots to the Super Bowl. The Patriots have been doing this all year without their number one wide receiver, Julian Edelman, who was declared out for the year after being injured during a preseason game. The Patriots will be wearing their white jerseys, while the Eagles will be wearing their green jerseys. Of the last 13 teams to wear white in the Super Bowl, 12 have won. Two weeks ago, Tom Brady got 12 stitches on his throwing hand. He wore a glove leading up to his game against the Jaguars and again will be wearing the glove against the Eagles. As evidenced by his performance last week, his hand seems to be fine, and Patriots fans should not be worried. When Carson Wentz went down, football fans had low expectations for the Eagles during the playoffs and counted them out before it started. The players decided to embrace the role of the underdogs and have been wearing dog masks after their wins. The Patriots, on the other hand, have been favored in every game this season. Rob Gronkowski got hit hard in the first half of the AFC Championship Game against the Jaguars. He left the game and did not come back because he went into concussion protocol. Gronkowski is listed as questionable, but reports say he has passed the league’s concussion protocol and will be playing. There are two former Patriots who won the Super Bowl last season who now reside on the Eagles roster: defensive end, Chris Long and running back, LeGarrette Blount. This game will come down to how well the Eagles defense is able to stop Tom Brady. Anyone who watched last year’s Super Bowl witnessed the amazing comeback he pulled off against the Atlanta Falcons. The Patriots will look to win their 6th Super Bowl in the Tom Brady-Bill Belichick era, while the Eagles look for their first Super Bowl win. Hopefully, this Super Bowl will find a way to be more exciting than last year’s.